DeskLodge is based on Bristol’s busy Temple way, right next to Bristol’s newest creative quarter, Old Market, which is full of independent cafes, bars, music venues and art spaces. Located just a 5 minute walk from the city centre Old Market is getting a name for itself as Bristol’s next big thing and a great place to go to fill your bellies, either on your lunch breaks or for after work drinks. There are so many options in the area that we have narrowed the list down to our DeskLodge Top 5 Eats!! A grand event space, theatre and music venue that see’s events from live music, DJs to local fashion shows. It’s open planned bar area and restaurant has a mezzanine floor that offers a great view of the main bar area so you can see what’s going on, whether it’s live music or just a chance to do some people watching in the colourful Old Market area. As part of The Sustainable Restaurant association, https://thesra.org/ The Old Market Assembly serves mostly vegetarian and vegan foods that are sustainably and locally sourced. The seasonal menus offer eat in options from stews and curries to the most tastiest pizza ever, all served from 12.pm - 9.30pm (please check website for current lunch and evening times) at very reasonable prices ranging from £5 to £14! The bar stocks local brewed beers, sustainable wines and ciders (of course there is cider, this is Bristol y’know!). 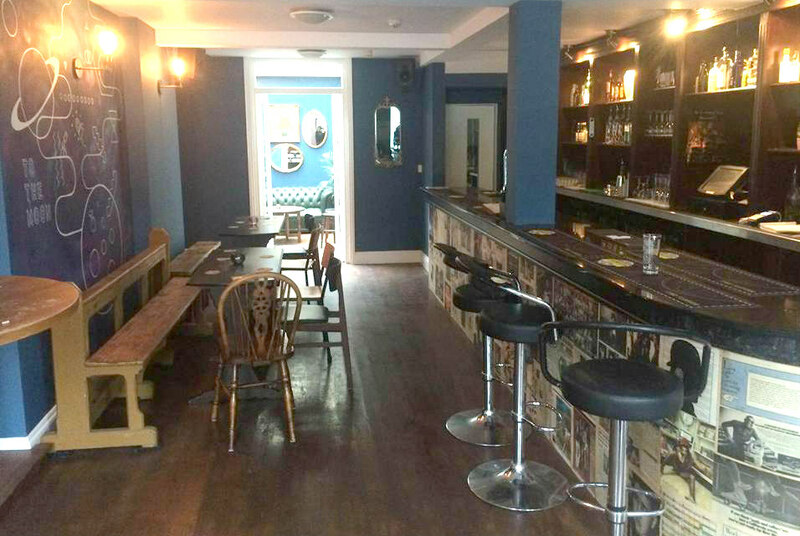 Located just off the Old Market strip on Midland Road you will find the quaint boutique bar To The Moon. This multi use venue space is a fashion boutique during the day and transforms into a bar by night. To The Moon is great for after work drinks or indeed a night out, with a wide selection of rums and cocktails on offer. “But what about the eats?” - we hear you say, well what’s better for these colder months than a comforting and extremely yummy Pieminister pie https://www.pieminister.co.uk/ and mash? With vegan, vegetarian and gluten free options available too. This cute little bar offers djs, events and has super friendly staff, it’s Old Market’s best kept secret! Food is available Wednesday to Friday from 5pm - 9pm, Saturdays from 1pm - 7pm and Sundays from 1pm - 5pm with weekday deals of pie, mash, peas, gravy and a pint for a tenner! The closest eatery to DeskLodge 1TW has to be The Exchange Coffee Shop and Kitchen. Serving all vegan and veggie food from cakes to breakfasts and aTex Mex inspired menu that changes seasonally. The roasted coffee is sustainable and locally sourced with offers available for all DeskLodgers, just ask at the bar! The Exchange is a well known music venue in Bristol that offers live music, club nights, flea markets, art exhibitions, recording studios and a record shop and if you are lucky you may even see one of The Idles https://www.idlesband.com/ hanging out there on your next visit! The Exchange Coffee Shop and Kitchen is open for breakfast from 8am-11am and lunch from 12 noon - 3pm. 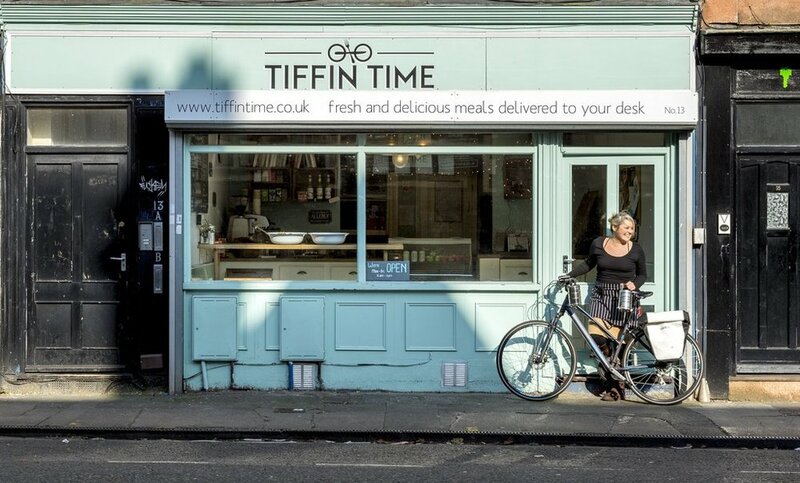 Based on Midland Road Tiffin Time offer a locally sourced (and mostly organic) delicious and exciting lunch time treats that change each week that change with the seasons. There are take away lunches and a delivery service options available, where the lunches arrive in the lovable Tiffin Tins minimising waste and keeping things sustainable and reusable. The menu changes each week with Katsu chicken curry and vegetarian Japanese Tariyaki balls (vegan options available) being a sample menu available with prices ranging from £6.50. 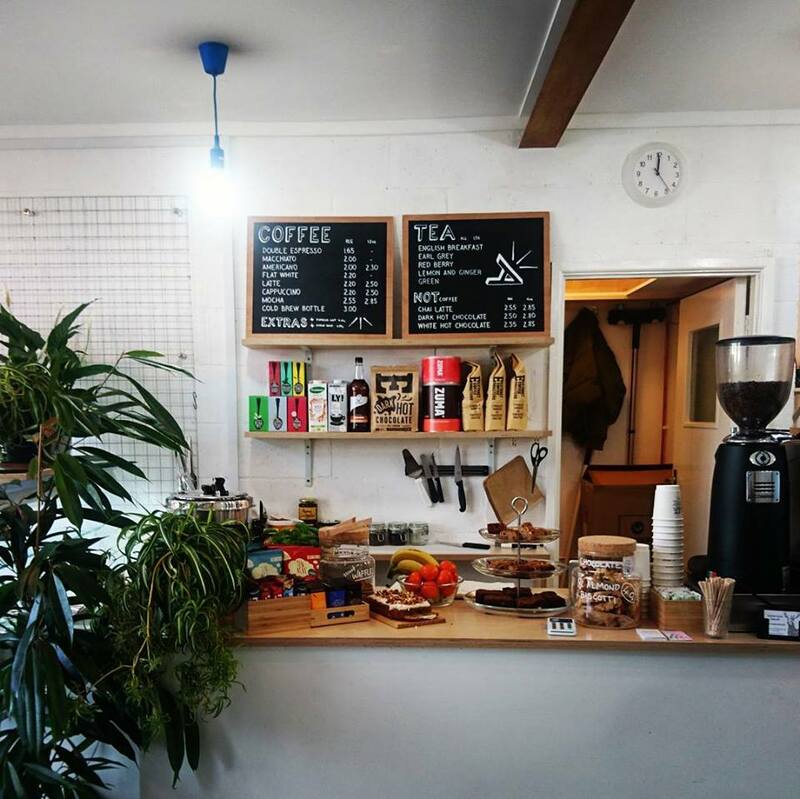 In the heart of Old Market you will find the multipurpose creative hub Two’s Company Studios and sitting comfortably on the ground floor in the middle of a working art studio and exhibition space is a lil’ coffee shop run by Alex Does Coffee. https://www.facebook.com/alexdoescoffee/ Serving up tasty Extract coffee, https://extractcoffee.co.uk/ yummy cakes and bakes and lunchtime treats all locally and ethically sourced and perfectly crafted here in Bristol. Look out for the cutest in-house whippet dog too! The coffee shop is open Monday to Friday from 7.30am - 4pm and includes eats from seriously tasty cheese or vegan cheese toasties from £3.50, soup of the day or waffles and maple syrup. Yum!